Digiteal payment solutions for your app, paper and e-mails! Would you like customers to pay on your online portal but without having to pay a fortune in transaction costs? 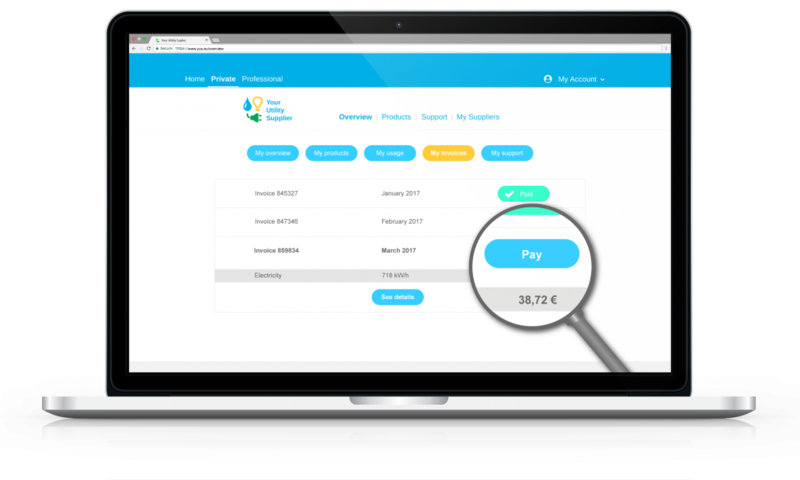 With Digiteal’s interactive payment solution anybody with a bank account in Europe will be able to pay on your portal. You will directly receive a payment notification and thanks to our payment tracking system, you will be able to keep an eye on the progress of the payment throughout its journey between your client’s account and yours. Stay on the page! 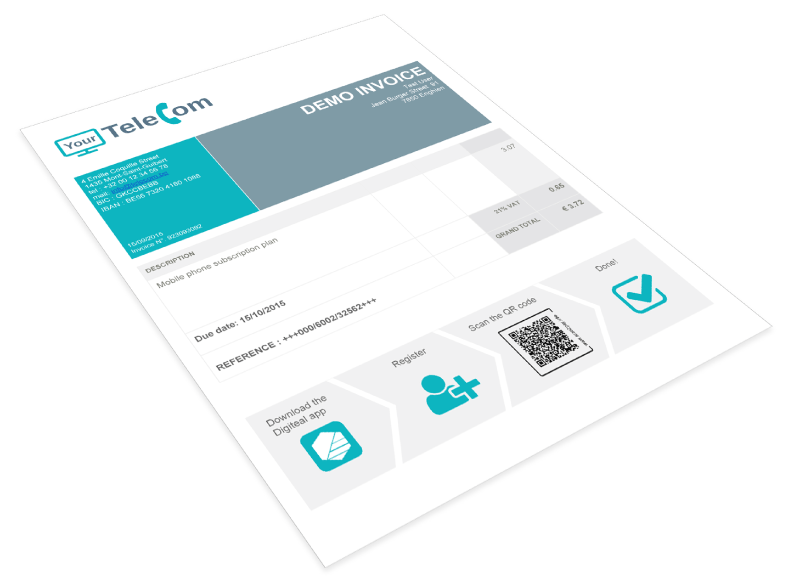 Add the payment QR code on your paper invoices! For all your payment requests and bills sent out on paper with the European standard QR code, you will be able to allow your customers to pay by a simple scan with their smartphone. You will then receive your money in the form of transfers on your account … without manual encoding and therefore without errors! You have a mobile app in which you would like to add a payment option? Add Digiteal’s interactive payment solution so you can quickly enable payment from your application. Your customer can either stay in your appl by authenticating with Digiteal or he can proceed to the payment via our mobile app to pay in one click. Do you send emails with payment requests sometimes? There are also invoices, reminders, requests for guarantees or advances… What if you could add a payment button for all of these things in your emails? Thanks to the Digiteal pay button, your customers will be able to pay you in one-click! Better yet, your customers will see directly in their email if the payment has been made, as the button changes color and message to show any changes!